The ANZICS Honour Roll provides an opportunity for colleagues to recognise a member’s outstanding contribution to the specialty of Intensive Care Medicine, well above and beyond being a dedicated clinician. ANZICS Honorary Membership provides an opportunity for colleagues to recognise a member’s outstanding contribution ​to the Society. Members are awarded a certificate and complimentary ongoing membership in acknowledgement of their contributions. In 2002, the ANZICS Board agreed to award an ‘Oration Medal’. The Oration is presented on the final day of the Annual Scientific Meeting. Previous presenters include the following medical specialists. The Matt Spence Award is a highly sought after prize by Researchers interested in intensive care. The Matt Spence prize is named after the Society’s first President (1975) and co-founder of the organisation, Dr Matthew Spence. The primary author must be the presenter and must be a financial trainee ANZICS member. Authors may only submit one paper for consideration of the Matt Spence Medal. Authors who have previously received this award are not eligible for this award. The primary author must be the presenter and must be medical. Awarded for the best free paper on safety and quality; may be medical, nursing or other author. Only awarded when suitable papers are submitted. The ANZICS Abstract Review Committee should recommend that the paper is suitable for this award. The primary author must be medical. Each year, three Fellowships for flights (to the value of AU$3,000 each), accommodation and registration to the ANZICS/ACCCN Annual Scientific Meeting are available for early to mid-career clinician/scientists to present their work at an international audience. Please note the Intensive Care World Congress will occur in place of ANZICS/ACCCN Annual Scientific Meeting for 2019. We wish to encourage and support innovative and productive early to mid-career clinician/scientists to disseminate their findings to an international audience by the awarding of a number of fellowships. In previous years, a fellowship was awarded to a Clinician/Scientist from each of the following regions: America (Canada, USA and South America), Europe (including United Kingdom and Ireland) and Asia. In 2019, we have changed this process to allow for selection to be based on academic merit and consistent with our commitment to inclusion and diversity. The recipients will have the opportunity to present an overview of their past and on-going​ research activities during a dedicated symposium which will be held at the 2019 Intensive Care World Congress, held in Melbourne, Australia, from 14-18 October 2019. In 2019, we are anticipating in excess of 2500 delegates at our congress, which will incorporate our Annual Scientific Meeting. During the symposium each recipient will present a lecture (25 minute lecture + 5 minute discussion). Travel expenses (to the value of AU$3,000), accommodation and registration costs for the recipients will be covered. Applicants should hold a medical degree and have completed or be in-training for a fellowship in intensive care medicine. Applicants must be aged 42 years or younger on 14 October 2019. Preference will be given to clinician/scientists who have pursued a well-defined and innovative research path, leading to several publications in high-impact peer-reviewed journals. Preference will also be given to those applicants who have publications in which they are listed as first or last author. While applicants may include work with Australian and New Zealand collaborators, preference will be given to work completed in the region of each applicant. The applicant must present their lecture in English. It is also anticipated that recipients will contribute to the academic and social programme of the ANZICS/ACCCN Annual Scientific Meeting. 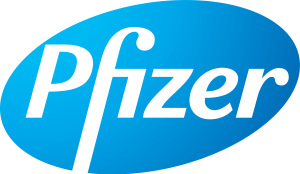 The Society would like to acknowledge Pfizer as a sponsor for this initiative since its inception in 2013. Each year the Society calls for expressions of interest from the membership for those interested in representing ANZICS at the international symposium. The successful applicant presents within the Scientific Program as directed by the respective Convenor. In order to be eligible, you are required to be a financial member of the Society. Preference will be given to Full members that have not previously presented at the event. ANZICS will provide funding towards the cost of a return airfare, with registration and accommodation provided. Applications for the role must include a current CV and a summary of the member’s contribution to the Society and/or its Committees.